Murder on the Monorail Express! 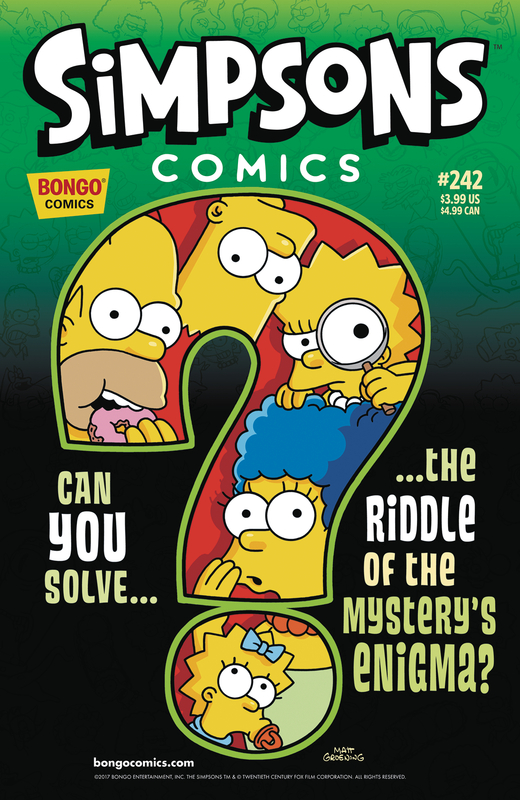 Simpsons Comics #242 is the two hundred and forty-second issue of Simpsons Comics and was released on January 17, 2018. 2.1.1 Murder on the Monorail Express! "Lisa protests Mayor Qumby's decision to close down the local mystery bookstore in order to build a new parking lot, but it's going to take some imagination and a little sleuthing of her own to make the double-dealing civil servant change his mind!" Main article: Murder on the Monorail Express! Modified on April 10, 2018, at 12:13.